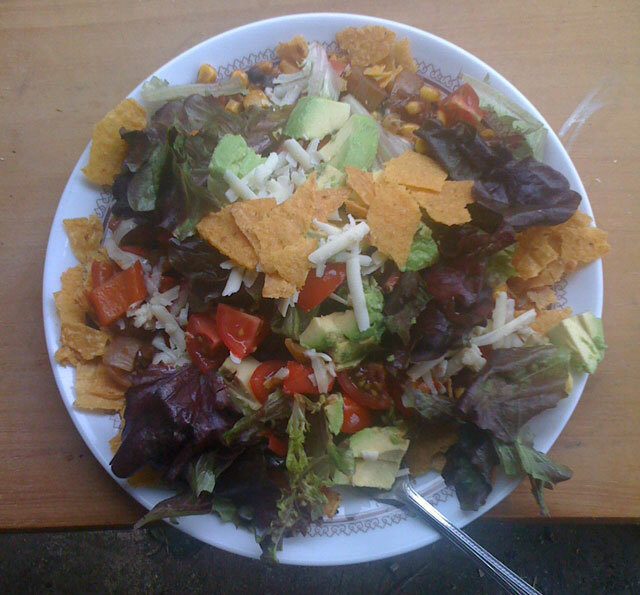 My own particular take on Anglo-Vermont Tex-Mex. Very delicious it was, too. We did do some actual work as well, or at least one of us did. We did comment that it would probably be a good idea in the main house if we finish the fabric of the building before we attempt to put a kitchen in or live there, but hey, I’m really enjoying having a kitchen. 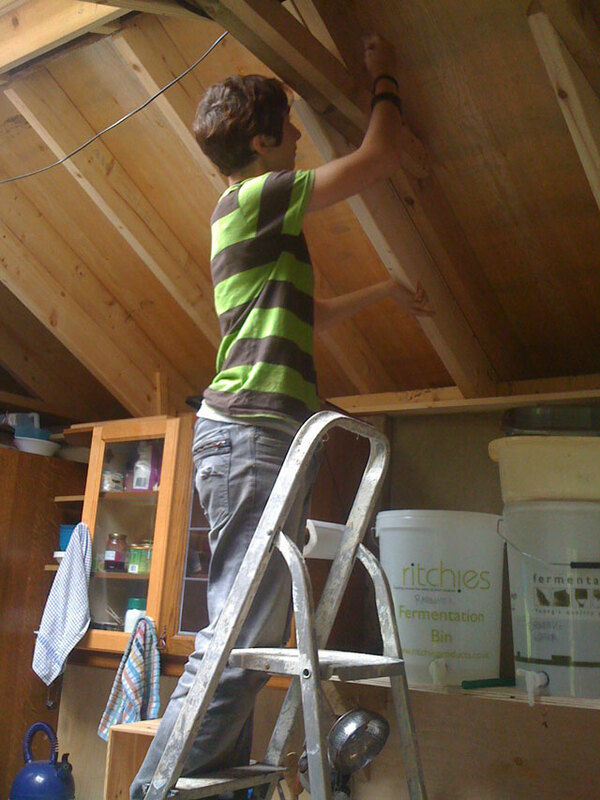 Anna’s cut and installed most of the rafter extensions and we’ve done a lot of standing around contemplating complex intersecting planes with a view to framing various difficult bits of ceiling. People really don’t give builders credit for being good at something very difficult. Also, we have decided to get the electricity piped in all the way to the building, though that will mean Elmo digging a trench from the bottom of the sheds to the building, which is about 40 metres. Bless him, he does like to dig. It will be so nice to be able to plug things in permanently and not have to wind up the cable every time we’re away.